Shiseido High Beam White (full name: Shiseido Luminizing Satin Face Color in WT905 High Beam White) isn’t something that comes up often in broad highlighter searches, probably because it’s a little tricky to get a hold of outside Asia. When it is mentioned however, it’s inevitably described as a very unique highlighter by reviewers…which is a bit of a head-scratcher. How unique can a highlighter really be? 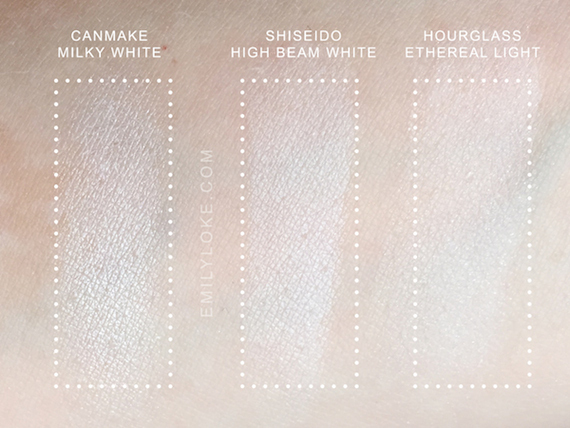 The first thing you’ll notice about High Beam White is that it doesn’t really look like a highlighter. There’s not a hint of frost, and is actually so matte in the pan you’d be forgiven for thinking its a large white eyeshadow. Its matte appearance translates to swatches as well – I would say it’s the most matte highlighter I’ve ever seen, and that there’s literally nothing else in my collection (or that i’ve come across) with a similar finish. 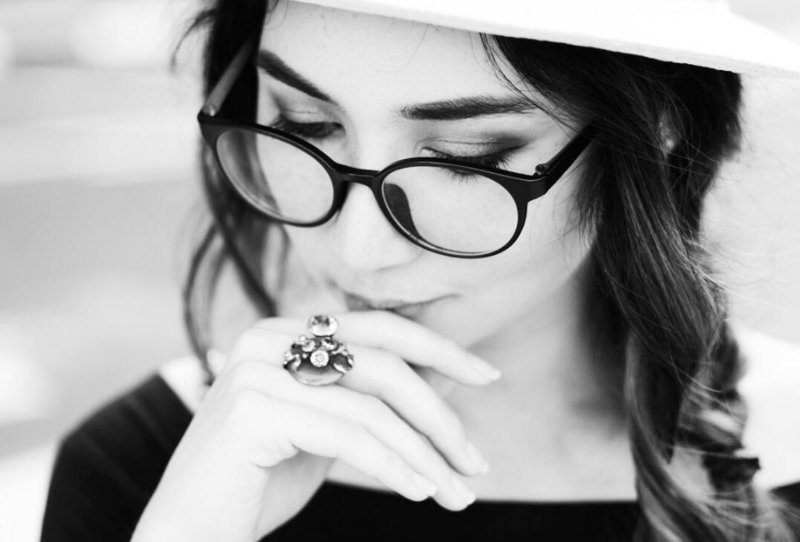 What makes High Beam White so interesting is that has an extremely muted, opaque white gleam to it that is completely bereft of sparkle. The degree to which it reflects light is somewhere between a highlighter and a luminous finishing powder (in this case Canmake Highligher in Milky White and Hourglass Ambient Lighting Powder in Ethereal Light), and while it’s definitely closer to the latter you can see that it’s actually more refined. 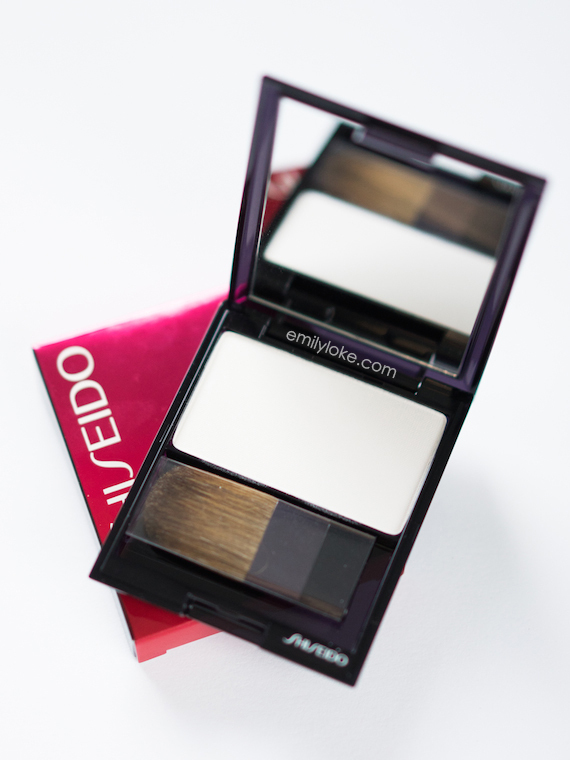 Where the finishing powder has micro-particles of shimmer, High Beam White is perfectly, impressively even. You can see photos of it on my face here. 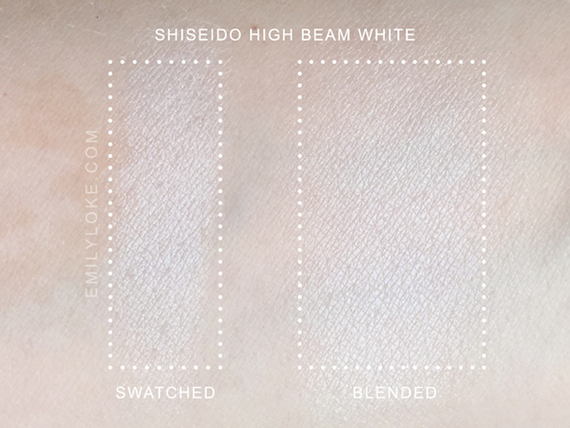 In summary: Shiseido High Beam White is indeed a unique highlighter. 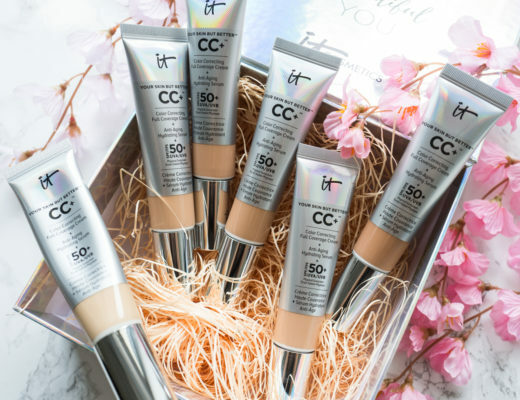 It’s muted, refined luminosity makes it completely different to typical highlighters – there’s not a hint of frostiness or shimmer particles at all. 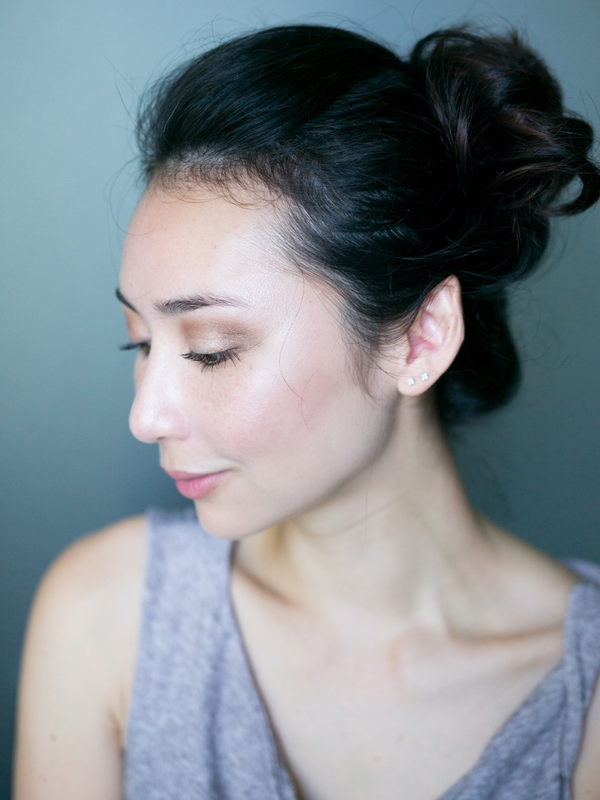 I’d recommend it for highlighter fanatics (it’s unlikely you’ll accidentally buy something similar) or anyone that likes the idea of a subtle, barely-there glow. 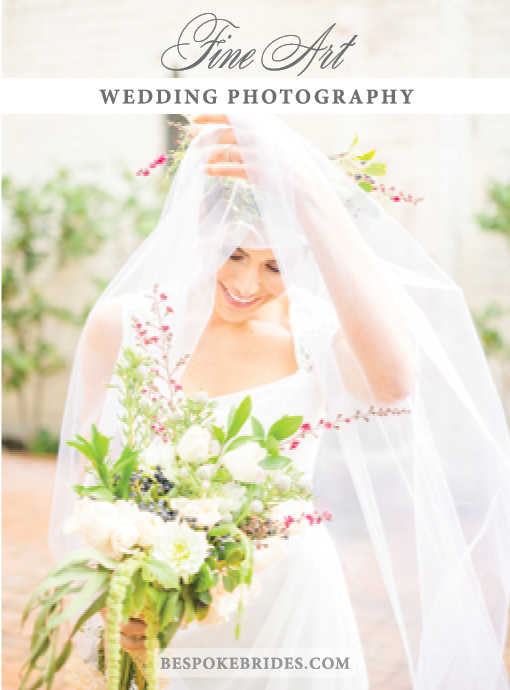 Please pardon the icon below – it’s showing up as pink, but the link does take you to High Beam White! 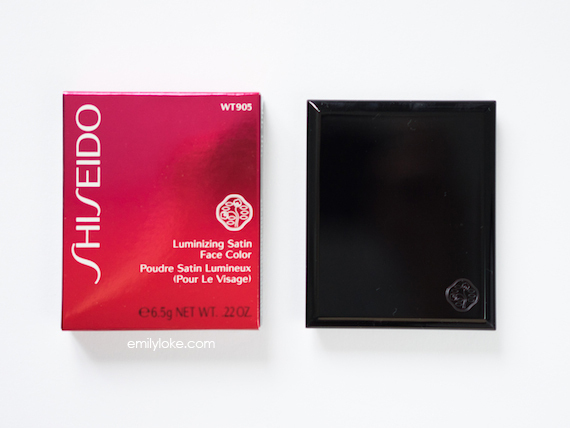 For my Singapore readers, here’s a list of local Shiseido counters.